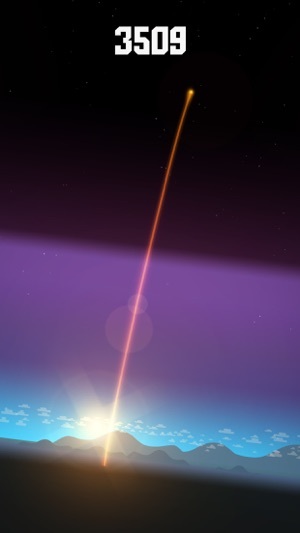 A HUGE amount of people wanted more Rockets, so here you go! 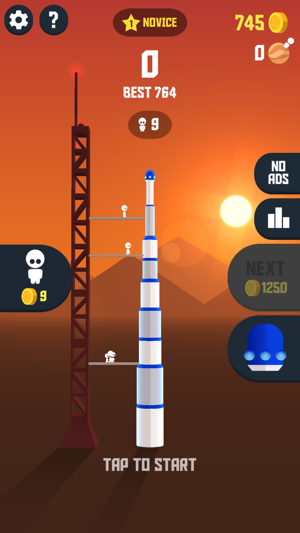 The Space Planning Committee of Rockets and Styles made 9 new, unique and quirky Rockets, and ALL Rockets now come with a Flag attached to the launch Tower! We improved the visuals here and there, and ironed out a few bugs regarding economy, camera movement and some under the hood stuff. Great game but, unfair deaths are a problem. This game is fun, addictive, and simple like most ketch app games but, also like ketch app games it is littered with ads. I would be fine with this if it would be limited to trade for in game currency and on menus but, ads appear during game play. This game requires quick timings and adds appear during the game! Imagine paying enough to put 50 people on the moon but you loose them all beacause of an ad! Another situation is if you are using an older phone like me (iPhone 6) then the game lags meaning even more unfair deaths. But if you set them aside you get your typical ketch app game. It keeps me coming back when I’m waiting in line at Tesco or during lunchtime at school. It is also riddled with Easter eggs. 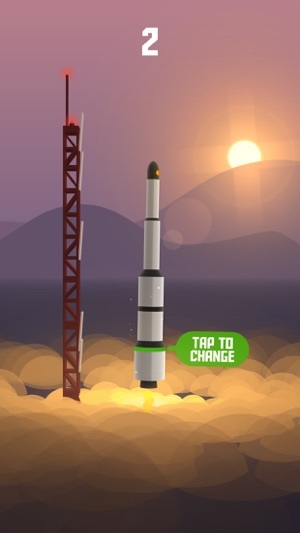 For example buy the Russian rocket and when you die instead of game over you get “komrad lost” this is every thing a ketchapp game is. I wish I could give this a 5/5 but the unfair deaths and often glitchy gameplay makes this a 3/5 not a must play but a fun game at best. Hey! Errm you made a mistake with the new update! 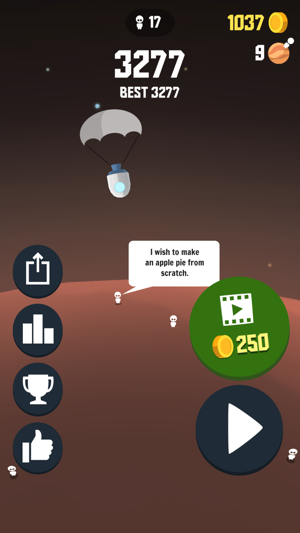 So now you can out people on mars at 2500 which give you money, that's cool, when you buy a person it costs 1 more to buy another, however this resets after every launch! Basically every time you get to 2500 you get 250 coins, which allows you to buy people and put them up there, again again and again with no limit or wait, as well as this the 1000 for watching ad stays when it appears and you can just keep get 1000 without having to actually do another launch once it pops up, further increasing money which means more people as long as your careful and don't blow up you can very easily get a lot of money and kinda ruin the system!!!! Does not last long enough! 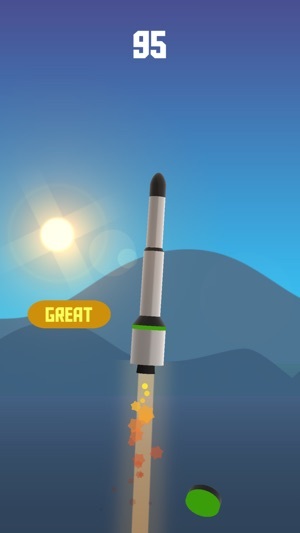 You have just updated a game that simply does not last long enough before you run out of things to do, and you have done nothing about it, just added more rocket skins and a flag! Why does it say in your help section (question mark top left) that you can colonise Europa if you can’t do that? You need to bring out an update that allows you to colonise Europa and way further beyond. Why not redesign it so that you can colonise the solar system. Include a map to look at the different planets and moons too and choose where to launch to etc. I’ve been playing this game now since it was released originally and you really have failed to make it last, unlike other developers and other games. Please release an update to expand the game in a big way. It really needs it.